Offering the best environmentally friendly print solutions that increase competitive edge and improve reputation to business customers. Ecoprint is the most environmentally friendly and recommended print partner in Estonia and its neighbouring countries. Ecoprint’s reliability and customer loyalty are based on quality, modern values and environmental protection. In 2003, along with the Estonian Fund for Nature we developed an environmentally friendly printing service. A year later, we registered the Green Print trademark so that it can be used only on printed matter produced by Ecoprint. Printing inks based on natural resins and oils. Recycled or certified printing paper. Environmentally friendly and energy-saving technologies. The FSC®️ checkmark logo on the paper is a guarantee that the product uses wood from sustainable sources; helping conserve and protect forests, wildlife, and people. Ecoprint owns a sertificate FSC®️ TT-COC-003418. All the wood is tracked from the forest to the store. 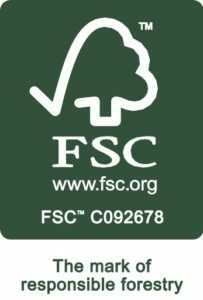 Every link between the forest and the consumer is certified to make it clearly identifiable which wood is FSC®️ certified and which is not. The Nordic Swan Ecolabel is the official Ecolabel of the Nordic countries, a voluntary and positive practical tool for consumers to help them actively choose environmentally sound products. From April 2010 is Ecoprint the swanlabelled printing company. Ecoprint has a right to use the Nordic Ecolabel, Swanlabel in all product types in the company. 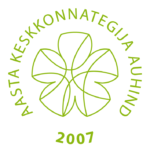 2007 – Environmental Award of the Year in the category of environmental management systems. 2008 – Environmental Award of the Year in the category of environmental management systems and environmentally friendly products. 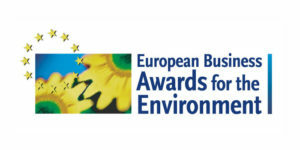 2008 –EBAE finalist, one of the three best environmental management systems in Europe in the category of small enterprises. 2009 – Environmental Award of the Year in the category of environmentally friendly production processes. 2010 – European Union’s environment management systems first award in the category of small enterprises.